Following our updates with the latest batch of emails leading up to the Turing phone release, and with one day to go, we have been provided with yet another added feature to this already jam packed ultra-phone. In the latest email we were told that the phone will support all major frequency bands used by international carriers, including; GSM, WCDMA, TD-SCDMA, CDMA EVDO, TDD LTE, FDD LTE. Pre-orders open up tomorrow, but with the US and Canada getting first dibs, I have no idea on when i will finally get my hands on what promises to be a game changing phone for 2015. There’s only one day left before you can reserve your Turing Phone™. We’ve received an overwhelming number of requests, but since you’re on this list, you get access to reserve yours before anyone else. In the last few weeks Turing Phone has reinvented itself with major enhancements. Turing Phone is now a world phone. This means you can use the phone anywhere in the world. It works for every band* with every carrier in every country. Turing Phone is sold unlocked and supports all carriers in the U.S. and carriers around the world. Travel anywhere and you can still use your Turing Phone. Beowulf, Cardinal and Pharaoh will be available to reserve between 12:00PM EDT on July 31st through 11:59PM EDT on August 13th. 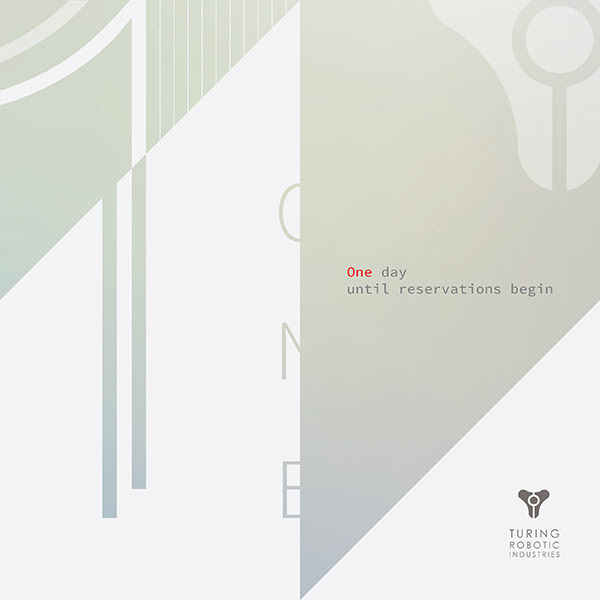 Reservations will be tracked via your email address. U.S. and Canadian customers will be the first to purchase and receive shipment. If you reside in the United States or Canada, once your reservation is received we will email you the next step for payment (on www.turingphone.com) when the Turing Phone is close to the final shipping date. Customers from other countries will be notified to make their purchase (onwww.turingphone.com) when it’s close to the shipment date in their regions. The Beowulf, Cardinal and Pharaoh come in three models: 16GB ($610), 64GB ($740) and 128GB ($870). This special edition Turing Phone to be released will be epic. Very soon we’ll provide details of our bellwether model. Black Dragon’s style and aesthetic is unlike any phone on the market. We can’t wait to show it to you. Black Dragon comes in one model, the 128GB ($999). The world is ready, are you? P. S.Forward to a friend. so they can reserve their own Turing Phone.